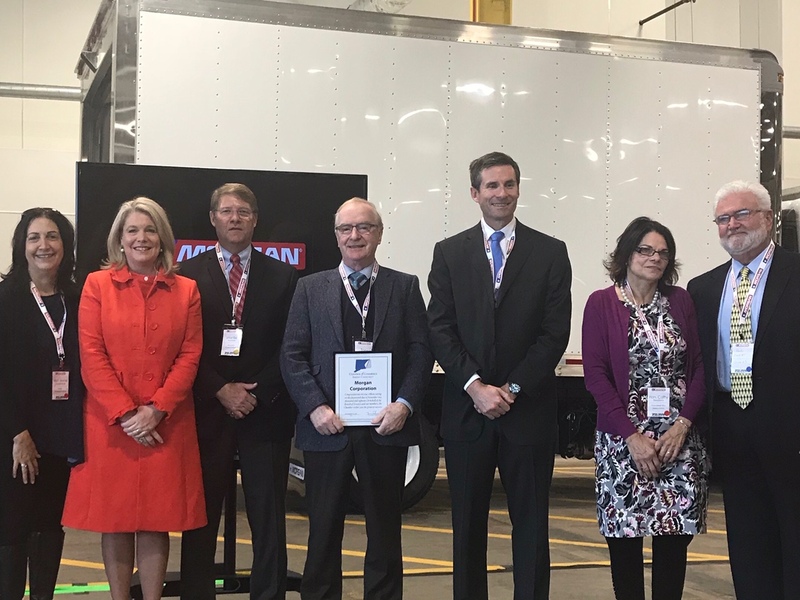 PLAINFIELD – State Representatives Anne Dauphinais (R-Killingly), Kevin Skulczyck (R-Griswold), and Senator Heather Somers (R-Groton) have recently welcomed Morgan Truck Body LLC, the largest manufacturer of light and medium-duty truck bodies in North America to Eastern Connecticut. According to Morgan Truck Body LLC, the manufacturing plant will accommodate cargo of every configuration — from parcel delivery to furniture movers and heavy-equipment hauling, insulated and refrigerated units, bottled gas transport, and flatbed/stake & platform bodies. “There is nothing better than a large manufacturing firm showing confidence in Connecticut’s economy by not only choosing our state for their new facility, but also bringing with it almost 200 jobs for Connecticut’s families,” Rep. Skulczyck said. The 175,000 square-foot facility will be located in Plainfield at the former site of the American Manufacturing Plant on Moosup Pond Road. This will be the manufacturers 13th location in the United States and Canada, but first in New England. The lawmakers presented the company with a legislative citation to commemorate their grand opening.